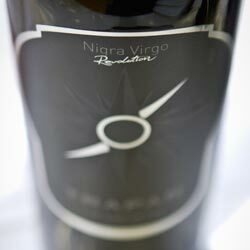 This blend of Cabernet Sauvignon, Merlot, Syrah, and Terano is a tough vintage to judge fairly. 2010 was a pretty bad growing season across of Istria and taking that in to account, this is one of the better bottles I’ve tasted from that year. It has a ripe fruitiness to it and if it were classified as a “young wine” like they do in Spain, it would be considered quite good in that class. The rather nice smokiness that develops as it breathes a very positive element as well. Overall though, for 10€, it’s priced a bit high for the bottle. I’m not sure if the vines are actually young (say five years or so) or if it’s due to this vintage year, but if it were more in the range of 5€, I would be more inclined to recommend it as a solid table wine with a nice degree of character.